The Spanish and Portuguese Inquisitions began in the 15th Century and continued until the mid-1800s, as hundreds of thousands of Jews were forced to convert to Catholicism and then were later tortured and executed for continuing to practice Judaism in secret. 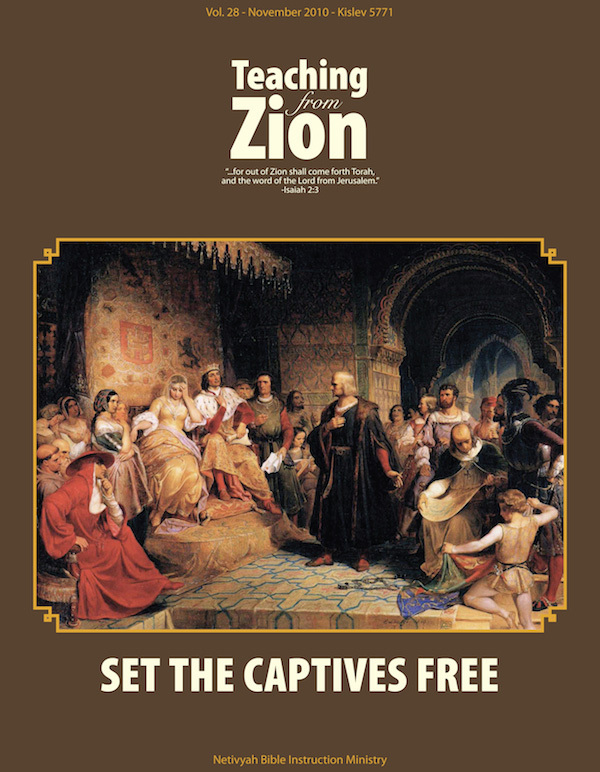 In light of the upcoming Restoring the Lost Heritage Conference sponsored by Netivyah, (see page 26 for details), this volume contains a variety of articles on the B’nei Anussim, the descendants of the Jews who were forcibly converted, also known more pejoratively as “marranos,” “conversos,” or “New Christians”. Here we prefer the Hebrew term “Anussim,” “those who were forced or compelled” to describe these, our unfortunate brethren. As one reads through these pages weighted with suffering, one may well wonder why it is necessary to dredge through the depths of Jewish history when we have plenty of tragedies happening today in our world. Let us be very clear then about what our goals are and are not for why we are reliving this pain. First of all, there is great value in honoring the memory and the lives of the martyrs of history, and understanding how the mixture of militant religion and politics brought about their victimization is imperative if we wish to prevent anything like it from happening again. We also hope with this magazine to clarify some common misunderstandings about the Inquisition and to put it in its proper political-socio-religious-historical context for our readers. We have no desire to pity ourselves or to cast blame on the descendants of our ancestors’ persecutors, but we pray somehow to redeem part of the hidden suffering of the Anussim by bringing the truth of their persecution to light and honoring their attempts to remain faithful to the God of Israel. We are well aware that since most of our readers are Protestants or Messianic Jews that there is a tendency to blame the Inquisition on “those Catholics” and to therefore try to absolve ourselves and our ancestors of responsibility. The truth of the matter is, however, that if any of us as believers had lived in the 15th Century in Spain, we too would probably have been one of the Church members who persecuted its Jewish flock. The Reformation had not even occurred yet, and none of us, no matter what we tell ourselves, would have been “an earlier Martin Luther and reformed the Church all by ourselves.” Additionally, even the Messianic Jews of today cannot ignore the truth that back in those days it was the Jews who believed in Jesus who became the worst persecutors of the Anussim. Some of the most hated foes of Judaism from the Inquisition period were themselves Jews who had converted to the Church. With these truths in mind then, we must all unite together as Catholics, Protestants, and Messianic Jews to repent before God for our ancestors’ sins and to beg Him to send his renewed blessing and restoration on the House of Israel and the Church. There are many simple sociological or political lessons we could learn from the Inquisition, such as understanding why traditional Jews so greatly fear missionaries and Messianic Jews, why American Jews fear the Christian Religious Right, the dangers of mixing politics with religion, or how it is that in a war between Christians and Muslims, Jews always lose more than any other party, but we have greater goals here than simply illuminating a few ideas such as these. Rather we desire to unite our forces to repent now and to do everything we can to save the descendants of the Anussim, who after centuries of retaining their Jewish identities in secret are now beginning to forget it altogether with the advent of technology and globalization. This is the last generation in which it will be possible to redeem the B’nei Anussim, and it is our great hope that soon Israel will open its arms and its doors to these, our long lost but not forgotten, brothers. This volume contains articles on different aspects of the Inquisition, its victims, and their descendants all over the world in the past and up until today. Although this tragic period of Jewish history is not a happy one to remember, we believe it is important for both our Jewish and non-Jewish readers to understand. Their suffering calls out from the darkness of history and begs us to lighten the load of their descendants while there is still time to restore them to the House of Israel.